Hey. Was very pleased to see the write up JC gave the M135i yesterday. Full marks from him. Can't wait to pick mine up next Saturday even more so now!!! When we buy a really fast car, the last thing we want is a really fast car. We may think we do. But we don’t. The top speed of a car matters when you’re a child. My dad’s car is faster than yours. And it matters when you are a teenager. I bought a Volkswagen Scirocco when I was 20 because What Car? magazine said it accelerated from zero to 60mph a little bit faster than my mate’s Vauxhall Chevette. But when you are an adult you realise that you will never accelerate from zero to 60mph as fast as possible because a) people will think you are an imbecile and b) you will need a new clutch afterwards. Nor can you ever indulge in the 1970s pastime of proving to other motorists that you have a faster car than they do, because these days all cars can do 120mph. This means you have to do 140mph to make your point, and when you’re at that speed, someone’s going to put you in a prison. Let’s get to the point. If all you want from a car is speed, you should buy a Nissan GT-R. If you use its launch control, it will leave the line as though a comet has crashed into the back of it. And it will keep on accelerating until stark, naked fear causes you to remove your foot from the pedal. And we haven’t got to its party piece yet: its all-wheel-drive ability to get round any corner at any speed of your choosing. With the exception of a few silly track-day specials, the Nissan GT-R is the fastest car money can buy. But you didn’t buy one, did you? Because it’s a bit ugly. And it’s a Nissan. And you thought your friends and neighbours might laugh at you. My colleague James May recently bought a really fast car. It’s a Ferrari 458 Italia and with a fair wind it will zoom along at 200mph. But he will never drive it at anything like that speed. Ever. And even if he did take it to ten-tenths on a track — unlikely, I know — he’d still get overtaken by a GT-R. You buy a Ferrari because you think it makes you look interesting, rich and attractive. You buy one because you like the feel of the thing, or the styling, or the cut of the salesman’s jib. You buy one so, at night, when it’s dark and you’re feeling worthless, you can say to yourself, “But I have a Ferrari.” And you will feel better. I know. I’ve been there. Another friend recently bought a Mercedes C 63 AMG Black Series. And within days he was sending me texts saying it was a bit scary on full throttle. Wouldn’t know, mate. I’ve never used full throttle on my Black, the CLK, because there’s a big difference between admiring a slumbering crocodile ... and running up and poking it with a stick. I have a Black for all sorts of reasons. I like the pillarless doors. I like the flared wheelarches. I like the body-hugging seats. And I like the noise it makes. Unfortunately, in order to make its tremendous sound, the engine has to be very powerful, which, as a by-product, makes the car very fast. But it’s not fast in the way that a GT-R is fast. You can use the speed in the Nissan. If you try to use the speed in a Mercedes Black it will put you in a tree. Every human being on the planet, with the possible exception of Ed Miliband, likes the feeling of being a little bit out of control. Push a child high on a swing and it will squeal with delight. But when the big kids start pushing the roundabout too fast, the sound it makes tends to change somewhat. Which brings me to the new BMW 1-series. The top-of-the-range M135i has been winning rave reviews because, unlike the hot hatches made by every other company, it has rear-wheel drive. This means you can “hang the tail out in a corner”. Indeed you can, but there is a price to pay for this. Because the car has rear-wheel drive, the big six-cylinder engine is mounted longitudinally. Also there is a prop shaft running under the cabin, and at the back, beneath the boot, are many components that aren’t necessary in a front-wheel-drive car. Net result: you have less space inside than you do in, say, a Ford Focus or a Vauxhall Astra. So you pay more and get less space, simply so that you have the ability to power-slide through roundabouts. Something you will never, ever, do. However, here’s the thing. I have a watch that will still work 3,000ft underwater. I have plumbing that can deliver water so hot it can remove skin. And I often eat in restaurants that serve food so complex that it’s way beyond the limited range of my smoke-addled palate. Also, as we know, I have a car that can go 80mph faster than I will ever drive. And that’s what gives the BMW M135i such massive appeal. You will never go round a corner trailing smoke from its out-of-shape rears . . . but it’s nice to know you could. There is a lot more to commend this car as well. It has a supremely comfortable driver’s seat, an excellent steering wheel, impossibly Germanic controls and a perfect driving position. Get in and, no matter what age has done to your frame, you will immediately feel at one with the machine. Then there’s the engine. To appease those of a tree-hugging disposition, it is fitted with a compound turbocharger, which means that, after a hint of lag, there is a never-ending stream of bassy, gutsy power. In the real world, where there are other motorists and lampposts and policemen, this car is as fast as you would ever want. And because it’s rear-wheel drive, the front wheels don’t have to multitask. They have only to worry about steering, which means the car feels balanced. It’s fantastic — as good as the Mercedes A 250 AMG I tested recently was bad. There’s more, too. While it’s better- looking than its predecessor, which had the appearance of a bread van, it’s still no beauty. But, like all modern BMWs, it’s understated and tasteful. Yes, rivals have more space inside, but we’re talking about a few centimetres here and a bit of an inch there. And if you truly like cars and truly like driving, that is a price well worth paying. One thing, though. I do wish BMW would reserve that M badge for cars that have come from its motor sport division, rather than sticking it on anything that’s a bit faster than usual. The M135i may say M on the back. But if you look underneath, there’s no limited-slip diff, so it isn’t an M car, really. Unless the M here stands for marketing. That, however, is my only gripe. And it isn’t enough to warrant a lost star. Because the M135i is so lovely to drive and because it’s available with a proper automatic gearbox and because it has pillarless doors and because it’s only £3,000 more than a similarly powerful Vauxhall, it gets full marks from me. Hate this car? Then you hate driving. Thanks for posting. Clarkson also gave 5 stars to the 135i coupe a few years back. Not that his views influence my buying decisions, but I have to say I agree with him here. 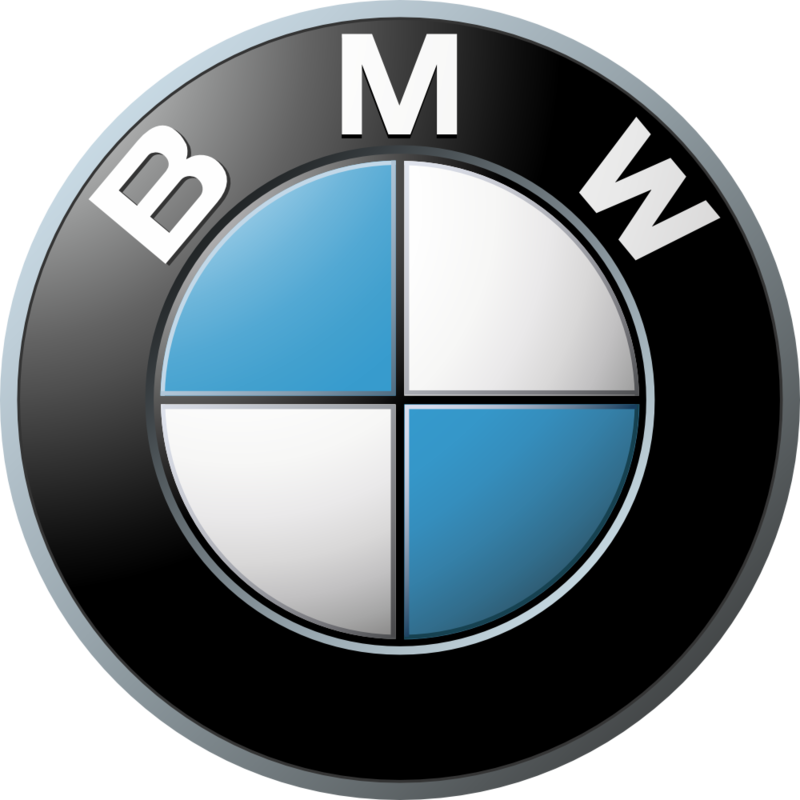 Although I do wish people would give BMW a slight break on the badge thing. In fairness there is a history with the MXXX nomenclature. Last edited by bimmerjph; 11-22-2012 at 11:59 AM. "Unless the M here stands for marketing." Clarkson definitely makes great points about supercars and the like. Heck, even my M3 would take some effort to reach any limits on the streets (before the cops catch you soon after). I do take my M to the track where I do see most of its limits, but I go to the track maybe 0.2% of my total drive time of the vehicle. Clarkson is dead on when he says people want a fast car, but they don't actually want a fast car. I've come to find that I would like a sporty, civilized daily driver, and, separately, a dedicated track car. The M3 borders very finely on the edge of too stiff of a street car. I've driven Formula Ford and Formula Renault race cars, so I know what stiff is. I don't know that I'll be back to get a F80 M3. I may just end up with a 328i or an X1 lease, and buy a used 2011/2012 Mustang GT 5.0 and trick it out into a serious track car. It's a shame the M135i won't come to the US. Bring it to the US! One shouldn't have to fork out 60K for a limited slip diff from BMW. When I take cars to the track, I just want to bring out the potential in the car I drive. I don't really care if other cars are faster. The 116i is fast enough for me, but has one annoying feature for sporty use. I can't seem to combine Sport mode (fastest possible throttle response) with disabled stability control. I guess the M135i shares this nuisance, along with the F30-family. I was so entranced by his writing that I didn't even notice that he didn't mention BMW until halfway through. He seems to contradict himself in my view. He talks about the AMG and the GTR with this power that you essentially never will use but "is nice to have" Yet he than says the same thing about bringing the rear around in the m135i and how "its nice to know you can" even though you never will. Great article. Clarkson is really on the ball about speed and what's most important in a driver's car. Love my real ///M. Jeremy is by far the best read of any automotive journalist who publishes in the English language. Remember, this is the guy who gave the 135i a screaming rave review when it came out. Love him, hate him, you have to admit he writes better than most of the people who have degrees in the field. Who says hyperbole can't be entertaining? "Hate this car? Then you hate driving." - If you own a M135i this needs to be in your sig. btw, is there going to be a M335i? The history of the MXXX nomenclature that you are referring to, used to mean something. Those were real M cars, such as the fantastic M635 CSI which was sold as the M6 in the US. The new MXXX models are only a marketing exercise. Regardless of the name, it looks like it's a great car. Everyone else that has reviewed it seems to think so too. Personally, I dislike the front too much to be able love it as a whole. Last edited by ATSR; 11-22-2012 at 02:17 PM. I think he tries to say that buying a car is not always about common sense, and makes an attempt to explain why some people buy cars just because of a very big engine or because it has rear wheel drive (which makes the F20/F21 very unique). And we all know that it does stand for marketing. Several folks here have also said the same thing. I was referring more to the E12 and E28 M535i, which were not real M cars. Unlike the M635 CSI which really was an M car. LSD should be an OPTION on any 35-50 car. And to other people's posts about "ya he makes a great point about being able to push a car to its limits" you have to remember its all about the feeling. If you have a car that goes 200 mph, than 60 feels incredible. But ya you don't need anything more than an M3.... With a supercharger.